Bath, shower, toilet, direct dial telephone, colour TV, mini bar, hairdryer. for up to 4 people. 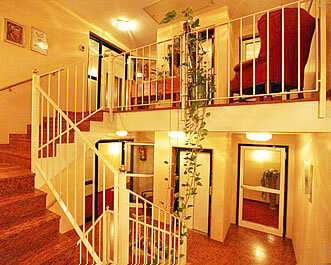 Prices are per person per night in Euro and are inclusive of half board. are valid only, if they stay in their parents room.